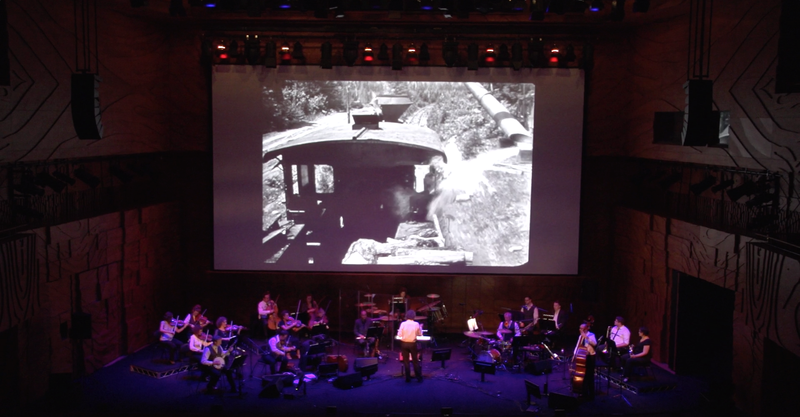 In 2014 Blue Grassy Knoll took their existing score to The General and arranged it for orchestra, assembling The Australian Silent Film Orchestra to perform with them at the Melbourne Recital Centre. Easily their most spectacular achievement to date, the score, as performed by the ASFO and BGK, is a total realisation of their vision of how this film should be heard. The music is as sublime as the images Buster created 90 years ago. The result is an exciting new show that is now available for touring, either with the ASFO or as stand alone repertoire that can be programmed for existing orchestras. Contact Blue Grassy Knoll if you would like more information on presenting this program.